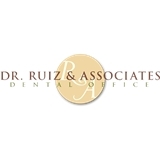 Dr. Ruiz and Associates (Burbank) - Book Appointment Online! Jose-Luis Ruiz DDS is the entertainment industry’s secret weapon! Get a movie star smile you can wear anywhere. Whether you’re a celebrity or just a person who wants the very best. Burbank dentist and dental craftsman Dr. Ruiz is a dentist to other dentists, the stars... and can be your dentist today. Awesome team there! Hands down the best experience one could expect. Thank you!